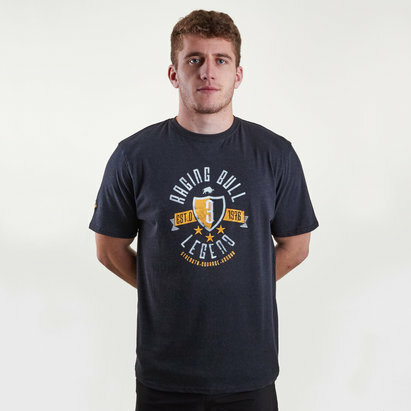 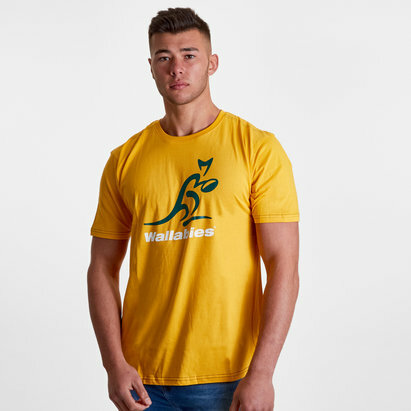 Prove you've got what it takes in the gym and on the training field when you pull on this Australia Wallabies 2018/19 Players Rugby Training T-Shirt from Asics. 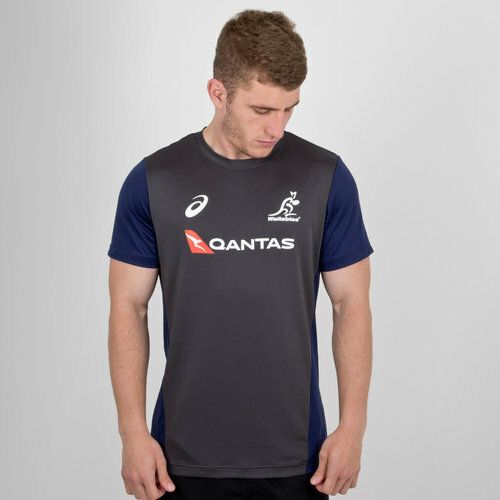 This mens training shirt from the latest Wallabies kit range has been designed from Asics in a premium polyester with all logos and sponsors heat pressed for comfort and a proffesional finish. 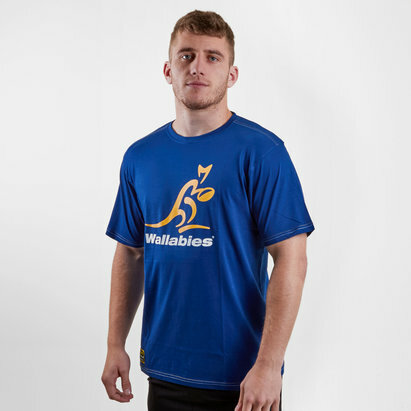 In an eye-catching combination of colours, you're sure to stand out on the pitch and in the gym, Asics have also included technology which wicks moisture away from the wearer's skin leaving them comfortable and dry. 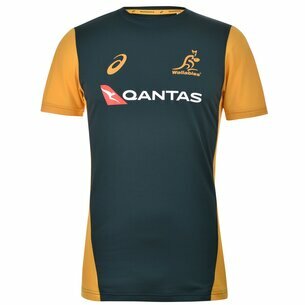 So just like Micheal Hooper and Bernard Foley make sure you pull on this Australia Wallabies 2018/19 Players Rugby Training T-Shirt.